LG recently announced their new LG V10 smartphone and now the company has announced that the handset will come with their enterprise security, LG GATE. LG GATE conforms to the US Federal Government Standard with FIPS 140-2 Certification, it also meets the AES-256 standard. As a reminder, the LG V10 features a 5.7-inch display that has a resolution of 2560 by 1440 pixels there is also a secondary 2.1-inch display which shows notifications. The handset comes with a hex core Qualcomm Snapdragon 808 processor and 4GB of RAM, it also comes with 64GB of storage, plus a microSD card slot which supports up to 2TB cards. 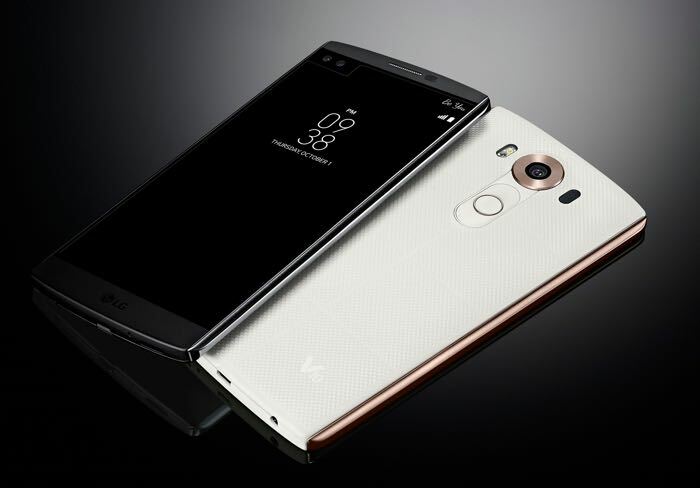 The LG V10 has a dual lens 5 megapixel camera on the front and a 16 megapixel camera with optical image stabilization on the back, it will be available in a range of colors, which include Space Black, Opal Blue, Modern Beige, Luxe White and Ocean Blue.